iRealHousewives | The 411 On American + International Real Housewives: Bravo Announces The Fourth Annual ‘Real Housewives Awards’ — See Full List Of Nominees! Bravo Announces The Fourth Annual ‘Real Housewives Awards’ — See Full List Of Nominees! They're back! This week, Bravo announced the nominees and categories for the third annual Real Housewives Awards. The ceremony has ten brand new categories, which are inspired by going back to school. The 10 categories, including Prom King and Queen, Best Friends, Most Likely to Succeed (in reading) to name a few. On Wednesday, October 4 at 11:15 pm ET/PT, Bravo will reveal the winners in an after-school special episode of “Watch What Happens Live with Andy Cohen” devoted to the “The Real Housewives Awards.” Host Andy Cohen will take roll call and crown The Real Housewives Prom Queen, along with announcing the winners of each category. Leading up to the big reveal, “The Daily Dish” podcast hosts Megan Segura and Rachael Roberts will sit down with Dorinda Medley of “The Real Housewives of New York City” to announce and comment on the nominees as they are revealed in real time via Facebook Live. 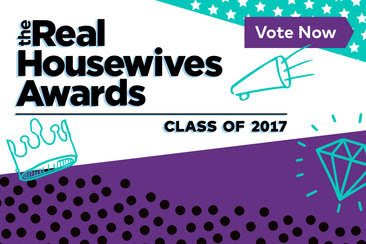 For the latest and greatest on “The Real Housewives Awards,” fans can visit bravotv.com/RHAwards, which will serve as a hub for “Real Housewives” content, featuring Bravolebrities and their notable high school memories. Viewers can also join the conversation by using the official hashtag #RHAwards. On Wednesday, October 4 at 11:15 pm ET/PT, Bravo will reveal the winners in an after-school special episode of “Watch What Happens Live with Andy Cohen” devoted to the “The Real Housewives Awards.” Host Andy Cohen will take roll call and crown The Real Housewives Prom Queen, along with announcing the winners of each category. Fans can vote on their favorite housewife over at bravotv.com/RHAwards.